If you knew death was imminent, what would you do? If a wave of hot, bubbling magma was flowing in your direction, would you hysterically plow through women and children in a futile attempt at escape? Or would you stoically accept this fate and allow yourself one last instance of pleasure? 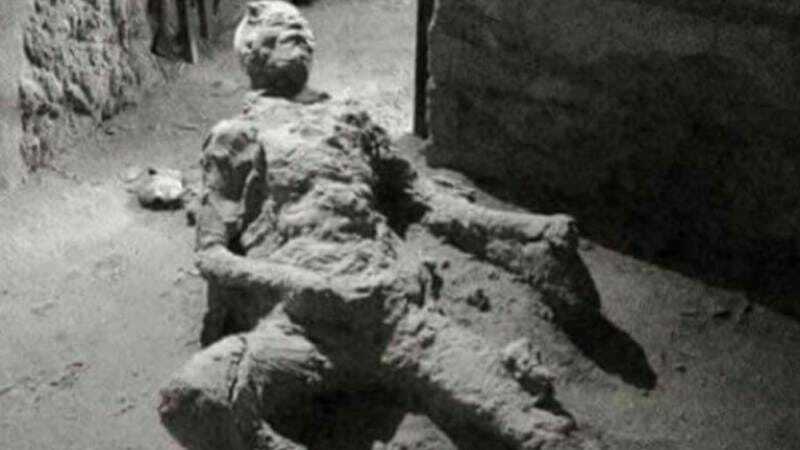 We’d all like to at least believe we’d choose the latter, which is why hearts and minds alike were enraptured by this photo of a man who certainly looks like he was jacking it during the volcanic eruption of Mount Vesuvius in the year 79. If you’re unaware, the unfortunate victims of this eruption were buried for 1,700 years under 30 feet of mud and ash. When they were excavated in the early 1800s, some clever soul realized that, by pouring plaster of Paris into the voids in the compacted ash, molds could be made that captured the victims’ bodies, facial expressions, and final poses. And one such mold certainly looks to have captured a man in mid-yank. After the above tweet went viral, people rallied in support around this hero, offering some quality zingers along the way. Luckily, this is the internet, where memes transcend facts, and a guy who looks like he died wanking it is close enough. It’ll be in our children’s history books.